The Hanaholmen Cultural Centre has invited feminist curatorial duo nynnyt to curate a residency programme as part of their ongoing artistic programme. 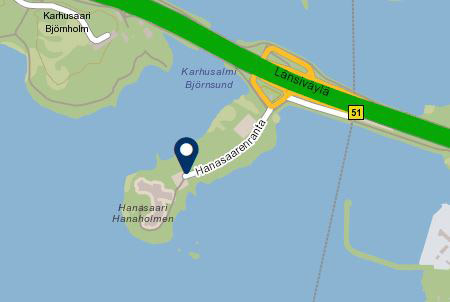 The In Waves feminist curating residency opens on November 26 with an event inviting Finnish art professionals to visit Hanaholmen and meet the international residency guests, including the invited workshop hosts curator Helena Reckitt, artist-activist Timimie Märak and the artist collective Read-in. The programme for the public event on Monday evening at 7–9 pm includes a WATERFALL 7 performance by Anne Naukkarinen and Maarit Mustonen, introduction of the residency group and small cocktail bites. Registration open for 30 people. Please register to the event below by November 23. The intensive residency is supported by the Ministry of Education and Culture, Finland and the Swedish-Finnish Cultural Foundation; it is a collaboration between Curatorial Residency in Stockholm, Frame Contemporary Art Finland, Hanaholmen – Swedish-Finnish Cultural Centre and Pro Artibus.